Love Bug. | Oh Look! It's A Blog! You can see the Cheeky Pea full key HERE. 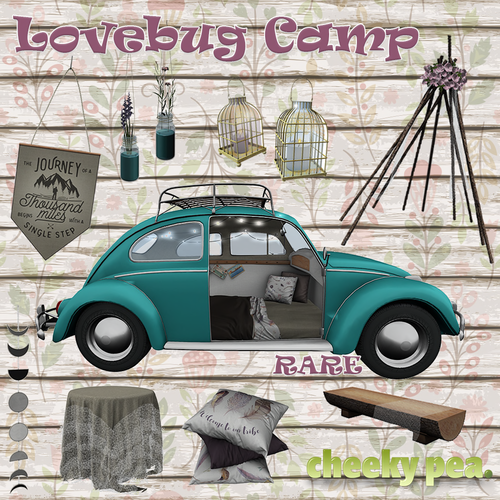 This entry was posted in iheartslFeed, Uncategorized and tagged !Ohmai, !Oleander, (love), Addams, blog, Camp, Camping, Cheeky Pea, Couple, CP, Cute, Decor, Dust Bunny, Epiphany, Gacha, Glam Affair, Hive, Home, LeLutka, Love bug, Lovebug, Mesh, Outdoor, Second Life, SL, The Epiphany, The Epiphany Gacha, Uk, United Kindness. Bookmark the permalink.